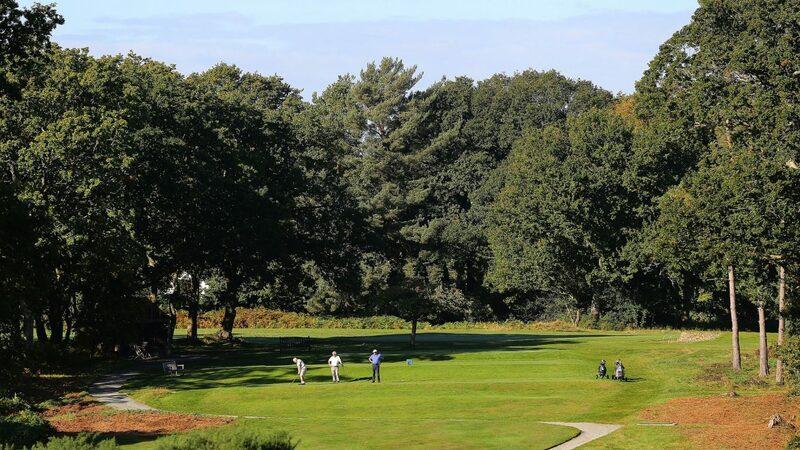 Brokenhurst Manor Golf Club, England Champions Club 2007 offers a range of services and excellent facilities that will guarantee a superb day of golf and hospitality for Golfing Societies and Company/Corporate Days for groups ranging from 16 to 120 guests. 6,222-yard 18-hole course, one of Harry Colt’s finest. Nestled in the idyllic New Forest National Park, surrounded by wildlife and great landscapes. The course is maintained to an exceptional condition with challenging greens and fairways that are in use all year round due to a superb drainage and irrigation system. The Course Marshall is on hand to ensure a smooth-running event and the Clubhouse restaurant will complete the day with excellent cuisine. The perfect venue for; Golfing group days, Client entertainment, Staff motivation, Charitable events, Hospitality and relaxation with friends. We offer various packages designed to meet the requirements of most society organiser’s needs. However, if the packages stated do not quite fit your needs please feel free to contact us for a more tailored golf package. Winter packages start from £39pp. Summer packages start from £59.75pp. the Golf Club is on your right-hand side. visitor_home.php or call: 01590 623092. There is a selection of high quality hotels located in Brockenhurst village within a mile from the club. Alternatively, there are also several B&Bs available in the local vicinity. Purpose built in 2015, our ‘Huxley’ short-game practice area is available to visiting golfers. Our clubhouse staff provide an attentive service working alongside our in-house caterers who are regularly praised for the quality of meals they produce. We have an outside terrace and free Wi-Fi, Pro shop, putting green, practice nets and range.